DuPont is internationally renowned for its high-quality, intelligent flame resistant fibre, DuPont™ Nomex®. 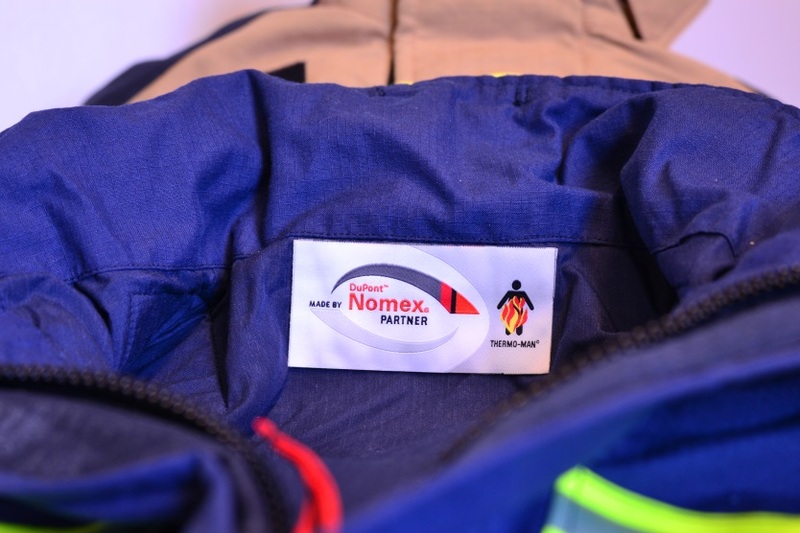 Incorporated into fabric for use by fire fighters and industrial workers all over the world, Nomex® labelled garments are produced according to the highest standards using fabrics approved by DuPont and have become an integral part of keeping people protected at work. However, the importation and production of counterfeit and illegal products is becoming a serious concern not only for the business economy, but most importantly for the safety of the workers such goods place at risk. To ensure the maximum protection of the wearer and combat the trade in counterfeit products, DuPont has developed the DuPont™ Nomex® Partner Program - a carefully-selected network of spinners, weavers, knitters and garment manufacturers whose fabrics and garments are of the highest standard. All partners in the programme benefit from the technical expertise of DuPont and have access to state-of-the-art product testing facilities, where the quality and performance of finished fabrics and garments can be closely monitored. In order to qualify for certification by DuPont, all fabrics must undergo rigorous testing to prove that they, not only meet the standard quality criteria, but also exceed them. Certified Nomex® fabrics are visible to the end-user through the distinctive Nomex® labelling programme, which DuPont actively encourages end users to look out for to ensure the compliance, performance and quality of products. A single label on the garment aids identification and provides customers with a quality mark from reputable suppliers they can trust to offer genuine products. Yuet Foo, DuPont™ Nomex® Value Chain EMEA Marketing Manager comments: “The DuPont™ Nomex® Partner Program reaffirms the status of DuPont as a provider of quality protective products whilst empowering reputable suppliers to do the same. . As part of the DuPont™ Nomex® Partner Program, Nomex® partners have access to DuPont innovation, including DuPont™ Thermo-Man®, DuPont™ Arc-Man® and DuPont™ Molten Metal Man testing facilities that precisely records the quality and performance of finished garments. Partners in the program are all committed to using genuine DuPont material and to help remove unsafe garments from the market. Across businesses worldwide, the value of counterfeiting is estimated by the OECD to be in the region of $250 billion per year, while the World Customs Organisation has identified counterfeit products destined for 140 countries. This enormous figure demonstrates the scale of global counterfeit operations and the alarming number of counterfeit products on the market. Whilst the goods are often unrecognisable from their legitimate counterparts, the quality and performance of counterfeit safety products could be significantly compromised and thus place users at risk.